When I saw this at Jeyshri space I immediately tried this. My husband love to take late night snack. Normally I buy cornflakes or Granola from super market and keep it for him. 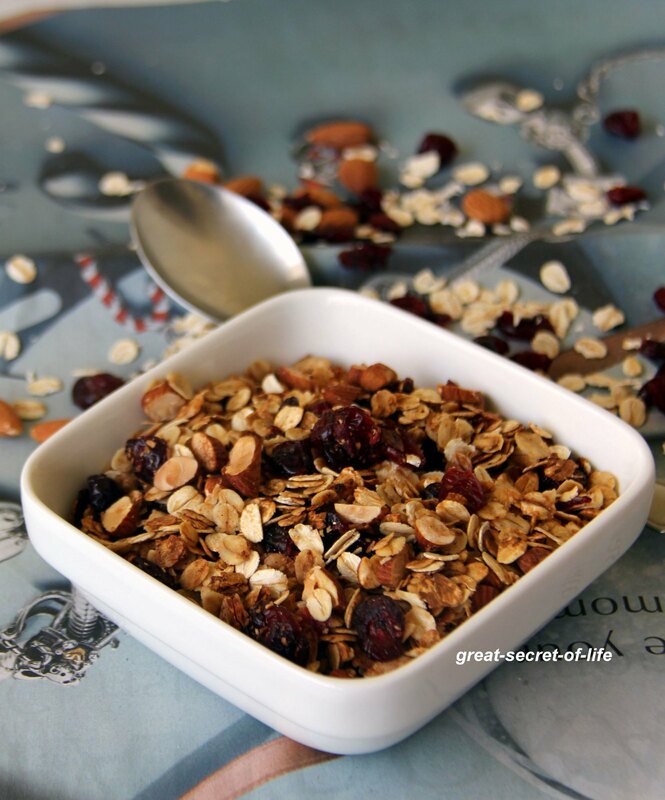 After see the recipe I wanted to try this homemade Granola. He liked it. and now-a-days he prefer homemade Granola. 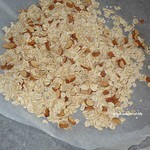 Pre heat the oven at 180 degree C. Chop the almonds into thin slices. 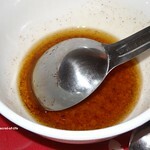 Combine oil, Honey, cinnamon powder. Mix well. 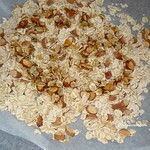 Combine rolled oats and almonds. Mix in the Honey paste with oats. Mix well. Spread it on the baking tray lined with butter paper. 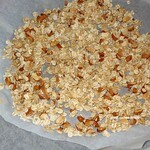 Bake the granola mix for 15 minutes till it becomes crunchy. Stir in between for even toasting. 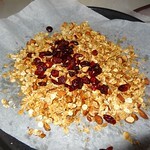 When done take out the granola and mix in dried cranberry and mix well. When it is completely cooled down store it in airtight container. 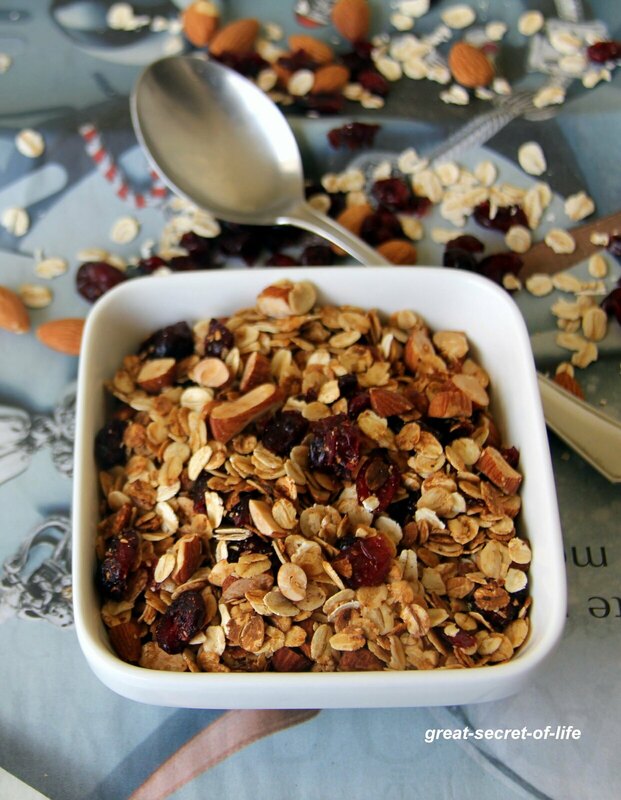 Homemade granola tastes the best! not yet tried this.. but it is in my to-do list.. 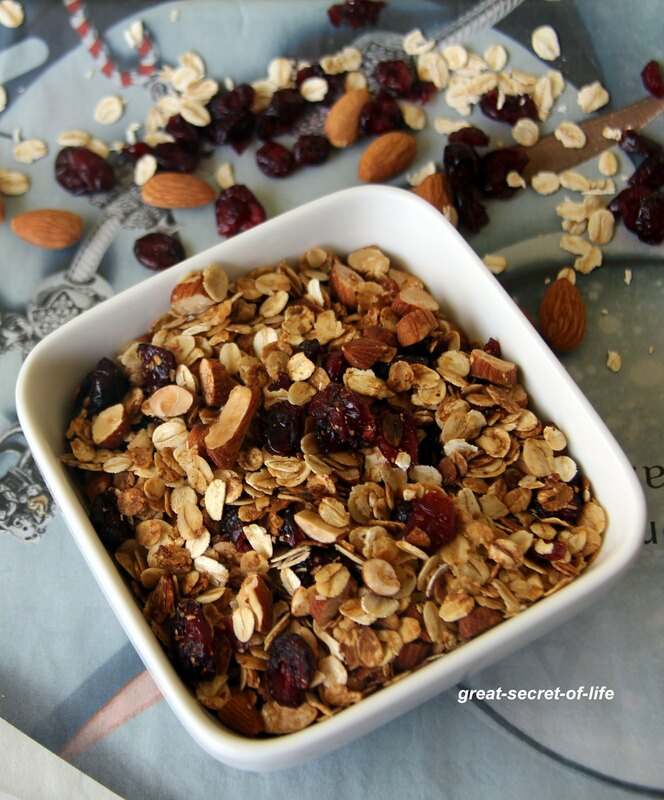 Very healthy granola. Kids will surely enjoy. Wow what an amazing snack! Wholesome and healthy…I think KDD Harvest's orange juice will go best with this for morning breakfast.. Can I use fresh cranberries for this? I bought some the fresh ones the other day and some are still left..